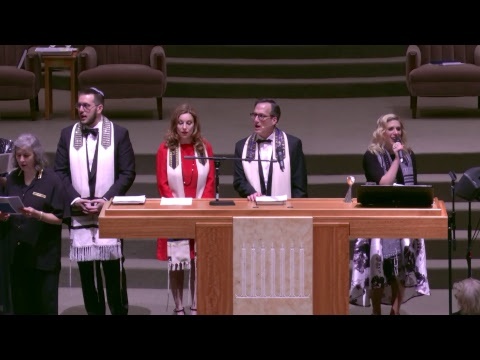 Your generous gifts to Congregation Beth Israel enhance the ways we experience our Jewish lives, and make it possible for our rabbis, cantor and educators to inspire “the joy of Jewish living.” This includes inspiring worship, thought-provoking programming and study, and ways to pursue meaningful personal growth and relationships. Every gift to Beth Israel makes a difference in the quality of our programs and services. Gifts to Beth Israel are also a wonderful way to celebrate friends and family members on birthdays, anniversaries and life cycle moments, as well as a meaningful way to honor the memory of our loved ones. If you are interested in making a financial gift, you may direct it toward any of the many charitable funds that are a part of our wide Beth Israel community including the Temple, our Endowment Fund, Miriam Browning Jewish Learning Center, The Shlenker School, Sisterhood, Brotherhood and much more! Click here for Tribute donations – a list of various funds available for donations. Click here for Yahrzeit Plaques – a plaque in memory of a loved one. With your generous support, Beth Israel is able to offer an extraordinary array of programs for our members. Your gifts to Share the Load directly support programs that enrich and energize our entire congregation. Why give to Share the Load? There are many needs and ways to give at Beth Israel. Dues cover only about 70 percent of our operating costs. Donations to Share the Load help close the gap between membership and our actual expenses for many of our programs. Because of your extra support and help, many of our wonderful programs can continue. Please take time to look at the opportunities listed and select those that have special meaning to you and your family. Your gift above and beyond your fair share dues, at any level, enhances our community. To donate, find the Beth Israel Temple Fund through the Tribute Donations page. For more information on Share the Load, click here. The Congregation Beth Israel Endowment Fund was created to provide the necessary income to help subsidize the Congregation’s needs well into the future. The Ner Tamid Society, our legacy giving program, was established for congregants to make legacy gifts to ensure the future of the Temple. Our goal is to increase the number of planned gifts in order for the Temple to remain a vital force in the lives of its congregants today and for generations to come. Click here for more information about the Ner Tamid Society. Sponsoring one of our Oneg Shabbats is a wonderful way to celebrate a special occasion, remember a loved one, celebrate being a part of our Temple community or just to celebrate being alive! Click here to download our “Sponsor an Oneg” form. Then, contact Marsha Gilbert at (713) 771-6221 x336 to sponsor one of our Onegs!